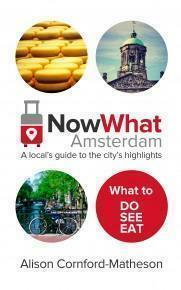 If you’ve made it to this page then you’ve (hopefully) bought or borrowed our Now What Amsterdam Travel Guide. Thank YOU! On this page we’ve included any additional materials we think are useful for your visit to Amsterdam or any errata that we’ve found since publication. If you have found anything we should address, please use our contact page to let us know. If you’ve enjoyed Now What Amsterdam, please take a moment to share your opinion so other readers can find it on Amazon: click here to leave a review. For more great information about slow travel in Europe and beyond, be sure to join our free mailing list. Members receive a free PDF guidebook, updates on our latest books in the Now What series, and plenty of travel inspiration! Click here to subscribe. Looking for another destination? 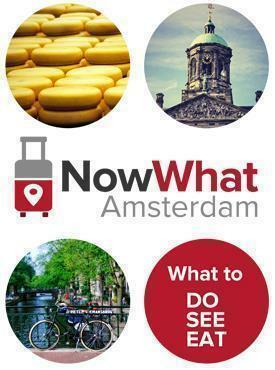 Check out the rest of our Now What Travel Guides. To save you hunting through the guide for particular links, we’ve listed them all below. If you find a link that no longer works, please let us know via our contact page. GVB website – Information on Amsterdam’s public transportation network, including routes, ticket options and prices.